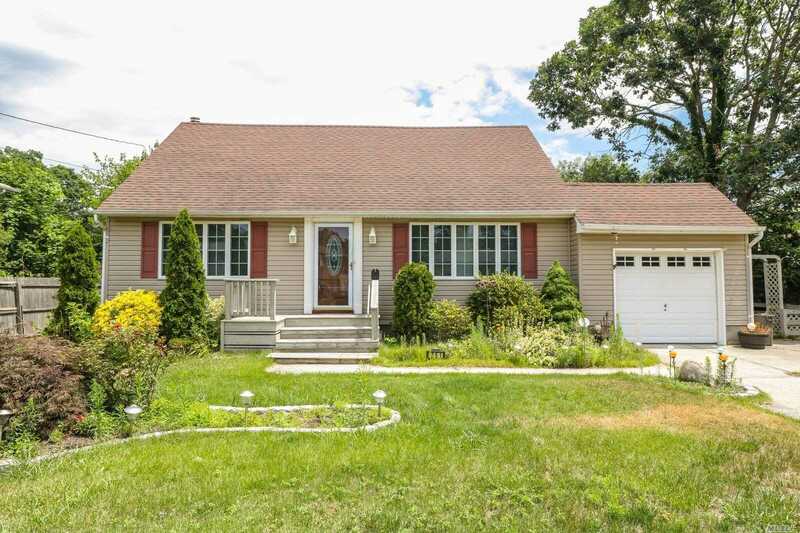 Gorgeous And Spacious Updated Cape. Hardwood Floors Lead You To Living Room With Additional Sitting Room. Formal Dining Room Great For Family Celebrations. Very Large Eat In Kitchen With Doors Leading Out To Massive Deck Area. Full Bath On Main Level. Upstairs 2 Large Bedrooms With Bath. Lots Of Closet Space. Basement Is Finished With Lots Of Room. House Has Been Converted From Oil To New Gas Service / Burner. 3 Zone Heating System. Close To Lirr And Shopping. This One Won't Last!